Exciting times ahead for the Canterbury AFL as we count down to season 2018. Maybe a new ground, some off-season movements and special recruitments will add extra spark to the games this year as the Bulldogs vie for the 3-peat without some star talent. Old news now but the Bulldogs mercurial half-back / utility Jinxy who won the Nicky Dow Award for Best on Ground in the 2018 Grand Final has unselfishly joined the Cougars to even up the league. Brad “Monster” Mavor is also reported to be joining his “country rugby mates” at the University team, whilst the regular Sunday training sessions are paying dividends attracting some hot-to-trot Aussie talent. Cougars Coach Chris Mintern is absolutely fizzing with his new recruits, allegedly overheard saying that the Bulldogs “better watch out…cos the Cougars are coming for ya”. This will add a bit of spice to the Terry Anderson Shield played between the Doggiees and Cougars since 2009 and which the Cougars have never won. The Blues meanwhile are forging good links with the Irish community after the successful Bobby Carolan Cup game in July. The mixed rules event in aid of Blues hard man Corey Jury-Lynns daughter meant that the Gaelic boys are interested in AFL more than ever. A source that cannot be named said Brian Higgins had said that his cousins, brothers, sister had said “theirverykeenforakicksotheyaretheylikethecraicandwillbeavingagosotheywill” or something like that allegedly. Meanwhile Jay Johnson took the year off rugby to rest up for this season of footy so he’ll be twice the danger man he normally is. Over at the Eagles Nest Sweaty and Adem have been drawing up master plans for a game play that will rock the world of CAFL and could change the face of our game as we know it. Not wanting to divulge too much Adem was reportedly reported to maybe mutter “just you wait and see Langers – we’ll blow the opposition off the paddock this year..!“. We can’t wait to see the new look Eagles flying high again with their lively rendition of the Fresh Prince of Bel Air. It's all coming together for a red-hot season at the soon to be announced NEW CENTRAL HOME GROUND. 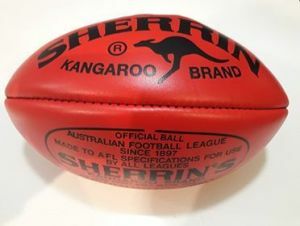 STILL KICKING OFF AUGUST 25 WITH NEW KANGAROO BRAND SHERRINS.